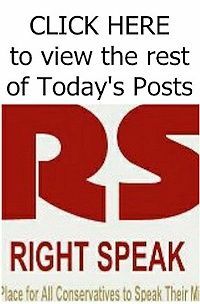 RIGHT SPEAK: Why Should Younger ILLEGALS Get Ahead Of Immigration Applicants Who Follow The Law? Why Should Younger ILLEGALS Get Ahead Of Immigration Applicants Who Follow The Law? Prospective immigrants have applied, passed background checks, and paid. Why should the line start in front of the people who followed our laws? House Minority Leader Nancy Pelosi said President Trump’s immigration proposal to build a border wall in exchange for amnesty for younger foreigners was a campaign “to make America white again.” It made a great sound-bite. “Professing to believe something you don’t believe” is a critical element of political gamesmanship. Yet Pelosi shamelessly offered not one word of analysis or argument about the proposal itself. She made an allegation instead of an argument. An accusation of racism evidently obviates the need to debate the actual proposal. This sort of thing permeates the ongoing discussions to legalize residency and more for the millions of illegal aliens currently inside the United States, now taking form inside yet another attempted legislative deal. Activists believe that legal status and a path to citizenship for 1.8 million proposed beneficiaries is an inadequate, if not cruel, remedy. But why should these proposed beneficiaries receive preference over those currently enrolled in the legal immigration process? Prospective immigrants have applied, passed background checks, and paid money. They have been placed on a waiting list and now wait for residency outside our borders. Why does the line now start in front of them? Read the rest from Michael Cronin HERE at The Federalist.